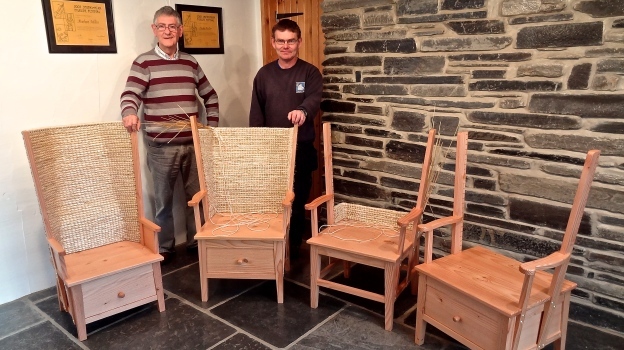 Jackie has been making Orkney Chairs for over 30 years and takes great pride in his work. 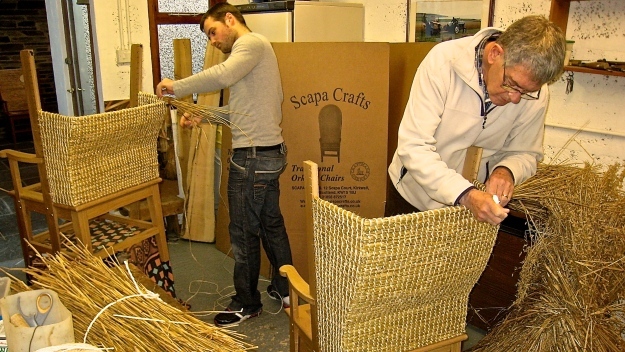 He is supported by his wife Marlene who carefully prepares the straw for the strawbacks and by master joiner, Ian who crafts all the chair bases. 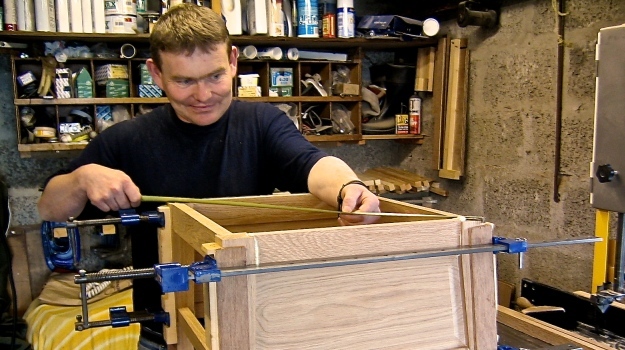 He is pleased to be now passing the tradition down to his daughter, Bridget and family friend Michael and to his granddaughter Leah who is learning the craft. 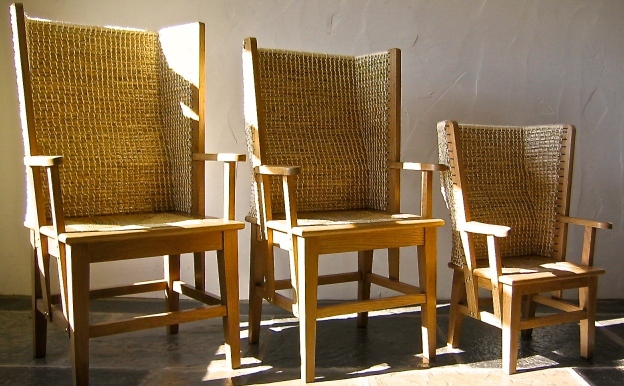 "Each chair carries our signatures and the Scapa Crafts quality seal." 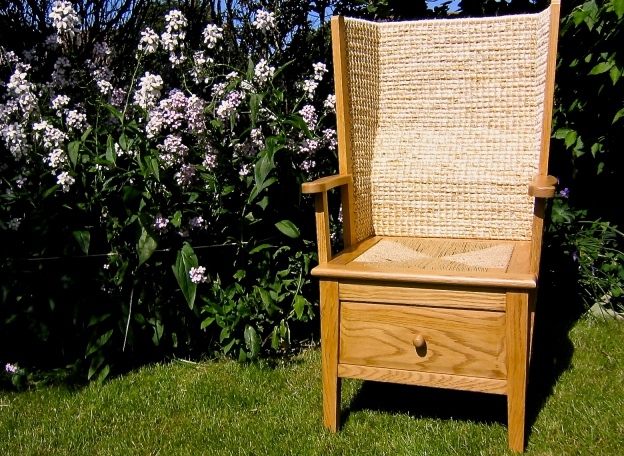 The Orkney chair has come a long way from the days where whoever was 'well-handed' would made the chair, and from whatever wood could be gleaned from the shore. 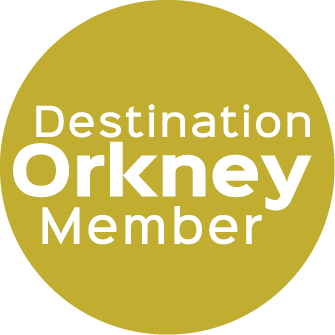 Orkney Chairs today are crafted by dedicated chairmakers and grace family homes, castles, museums and galleries. They are the perfect birthday, wedding, anniversary or retirement gift. 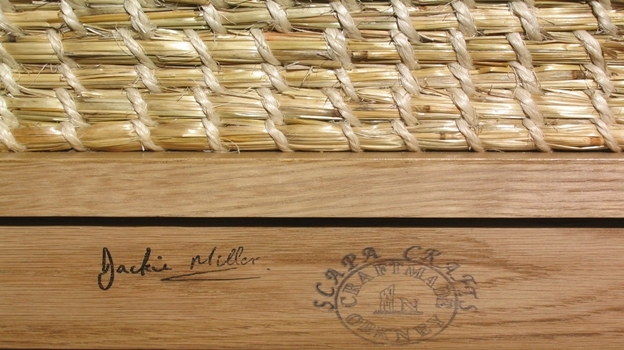 Jackie & Marlene, Michael, Bridget, Leah and Ian want you to feel you have bought something very special, a treasured heirloom for generations to come. 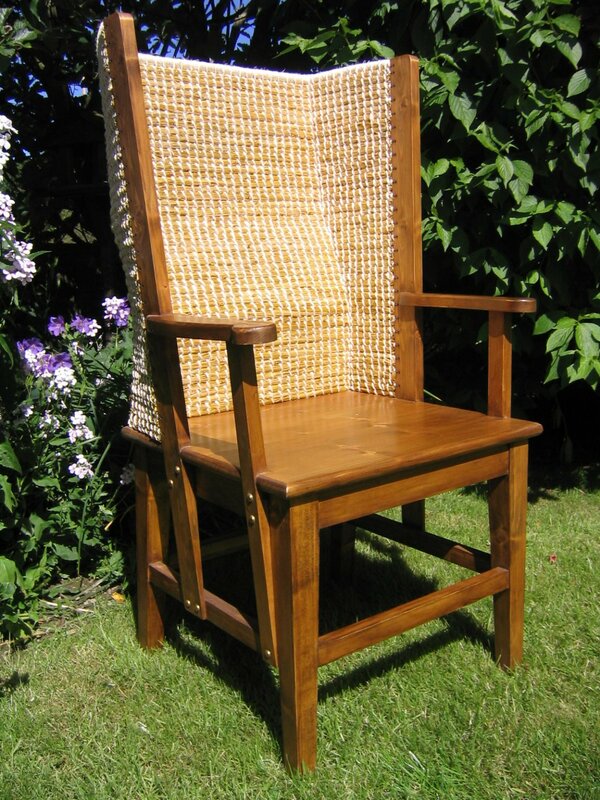 As Jackie says "With every chair I feel I have made something special. 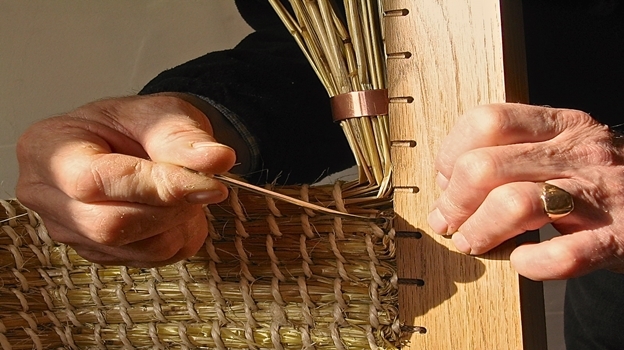 If you are handmaking a piece of beautiful furniture which will last not only your own lifetime but into the next, you want it to be right, perfect in fact. Take a look for yourself!"